The Hiroshima Toyo Carp, Hiroshima’s professional baseball team, and the Japan International Cooperation Agency’s Chugoku International Center (JICA Chugoku) will begin an effort to share the appeal of baseball to the people of Sri Lanka, which was torn by a long civil war, to help with the reconstruction of that nation. Because baseball, in the form of the Carp team, once provided emotional support to the citizens of Hiroshima in their recovery from the damage of the atomic bombing, the two groups are confident that baseball can again lend power to the human spirit. 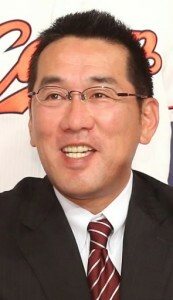 The participants include Kenjiro Nomura, 48, the former manager of the Hiroshima Toyo Carp, who will visit Sri Lanka in July to coach the national baseball team and teach baseball to children. Four people, including Mr. Nomura, will travel to Sri Lanka. They will arrive in Sri Lanka on July 9 and stay for seven days. 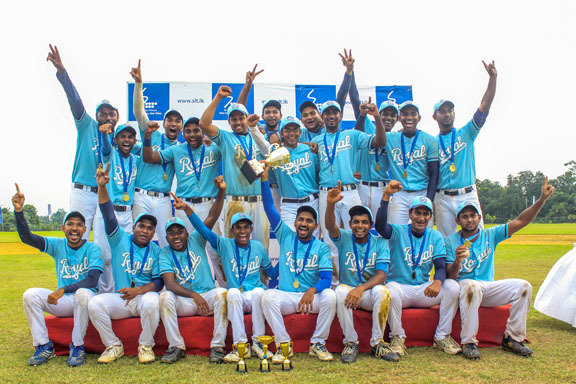 In Diyagama, a city in western Sri Lanka, the participants will offer instruction to Sri Lanka’s national baseball team. They will also hold a baseball clinic for children in Kandy, a city in the central part of the country. In the northeast, which has suffered heavy damage as a result of the civil war, they will observe demining efforts. In addition, they will meet with Japan Overseas Cooperation Volunteers who are working to support children’s education in Sri Lanka. The initiative came to life after JICA proposed the idea to the Hiroshima Toyo Carp. To date, JICA has dispatched about 900 Japan Overseas Cooperation Volunteers to Sri Lanka in an effort to encourage its citizens in the wake of devastating internal conflict. Because the Hiroshima Carp was originally established as a baseball team for local citizens, and has overcome various hardships together with the community, JICA sought the team’s cooperation in order to effect a similar positive impact in Sri Lanka. Hajime Matsuda, the owner of the Hiroshima Toyo Carp, readily accepted the request, saying, “We’re happy to lend our support to help put smiles back on the faces of Sri Lanka’s people, who are exhausted with war. This will be a wonderful opportunity for them to get to know Japanese baseball.” Mr. Nomura was then asked to visit Sri Lanka as he once worked as a temporary coach for an American major league baseball team and is very knowledgeable about baseball abroad. Baseball equipment, including balls and gloves, will be donated, too. JICA has already been providing support to the people of Sri Lanka through baseball. Japan Overseas Cooperation Volunteers from JICA have been serving as the manager of its national baseball team since 2002. The current manager is the fourth JICA volunteer. And the baseball stadium constructed in Diyagama in 2012, the first baseball stadium in Southeast Asia, was primarily funded by donations through JICA. About 5,000 people play baseball in Sri Lanka now. Mr. Nomura expressed enthusiasm for the initiative, saying, “This year marks the 70th anniversary of the end of the war and I think there’s a message that only the people of Hiroshima can deliver, because this city was successfully reconstructed after the atomic bombing. As a representative from the Hiroshima Carp, I’d like to convey, through baseball, the importance of peace.” The team will also explore the possibility of developing official Carp goods which could be sold to provide economic assistance to Sri Lanka.